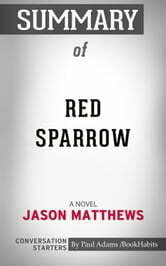 Red Sparrow, written by New York Times bestselling author and former CIA operative Jason Matthews, follows the story of a beautiful woman named Dominika Egorova, or “Red Sparrow,” a spy who is sent by Russia to seduce a CIA officer named Nate. They have an intimate affair that jeopardizes both of their careers as well as those around them. 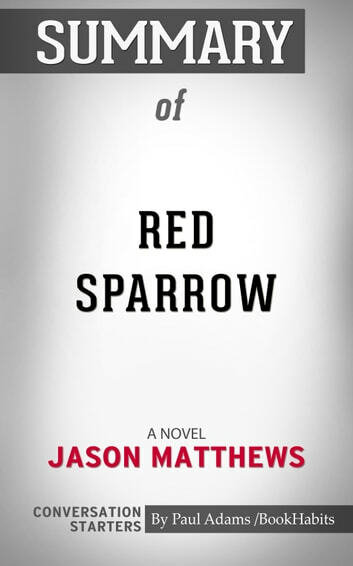 The book is the first of three in the Red Sparrow Trilogy Series. Since the release of the movie adaptation in 2018, also called Red Sparrow, the book has soared to the top ten most read books on Amazon.